Learning to skate with walkers helps kids gain confidence. At first, I didn’t get it. Why quit if the kids are still having fun? Turns out, there’s an art to knowing when to end an activity. I went skating on Monday with my 5- and 6-year-old nieces and their mother at Hartmeyer Ice Arena. It was the girls’ first time on skates and I thought they did really well. They used walkers at first and then graduated to skating on their own. Sure, they fell down a lot, but they seemed to enjoy it…at first. After about an hour of skating, the novelty wore off and they grew tired of falling. Tears came shortly thereafter. I suggested to their mother that it may be time to leave, but the girls objected. They stayed a bit longer and the whining increased as the kids grew more and more tired. Then, they wanted to go. While it is very difficult to leave while kids are still having fun, I find that it’s always better to leave them wanting more. Forty-five minutes to an hour is plenty for a first time activity. Then, the next time, they’ll be excited to go again. Let me know how you decide when enough is enough. With the freedom to explore, a child spotted a pair of cranes and took this photo. I let three 9-year-old boys walk a good distance ahead of the group on a hike at Governor Nelson State Park last week. This might not sound like a big deal, but it was for them. They wanted to feel independent. And yet, they kept looking back, just to make sure we were still there. That’s how growing up works. Kids want to stretch their wings, but do so only when they feel that someone will catch them if they fall. It’s important to give kids opportunities to be independent. They don’t get this otherwise. Unlike my youth, these kids do not get to roam outdoors. They go from home to school to after school and then back home again. They do not get to practice being independent even in the smallest ways, like going to the grocery store or walking to school. On this trip, I was happy to give them a taste. And look what happened. They “snuck up” on Sandhill Cranes; they spotted a hummingbird; they watched Canada geese with their goslings; they walked on the rocks by the water and spotted a dried up carp. They were so excited and engaged and I didn’t have to do anything, but be with them. They developed observation skills, gained confidence and expanded their knowledge of the world. But most important, they learned to trust themselves and I learned to trust them. Let me know how you give kids a taste of independence. Is it ever too cold to Get Kids Outside? Thursday was cold, very cold. Temps topped out at about 10 degrees with a nasty wind chill. As a result, kids at Lowell and Emerson Elementary schools had no recess – their second in a row. Now, it was my turn. Would I take 11 kids cross country skiing? We did the week before and the kids froze because we were out in the open. Would today be a repeat? After consulting with Molly, the lead instructor at Blackhawk Ski Club, I decided to go – even though my boss had already told the kids it was too cold. Molly’s plan was a good one – stay in the woods and keep ’em moving by sending them on a scavenger hunt. It worked. The kids were not fazed by the cold and they had a great time on the scavenger hunt. No one complained. Plus, it was safe. 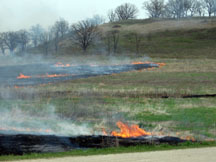 Blackhawk Ski Club isn’t exactly wilderness. There’s a warm chalet, hot chocolate and snacks. If kids wanted to go inside they could, but none of them did. They all stayed out for a full hour. The kids had a blast and they learned something about the cold – if you dress right, keep moving and stay out of the wind, you’ll be fine. Meanwhile, students at Emerson and Lowell Elementary schools learned to fear the cold. While safety is always important, I disagree with this policy. Why not let parents make the choice? Why not base the choice on outerwear? Why not let them out for a short time under the supervision of a trained teacher? Why not structure a moving activity, such as a run around the playground? It seems to me that going outside for recess is a lot like going skiing at Blackhawk Ridge: Kids are close to a warm building and there’s supervision. 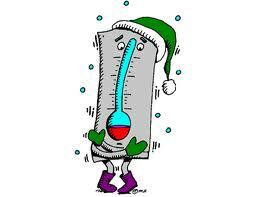 I think we’re doing our kids a disservice by not teaching them how to dress for the cold. What do you think? When is it too cold to go outside? 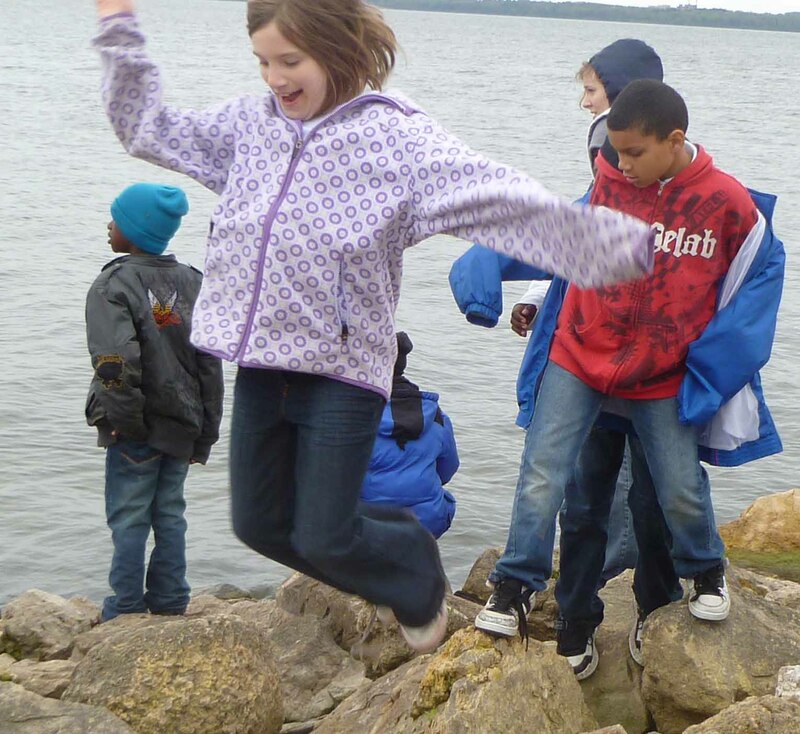 What are you doing to help kids enjoy winter in Wisconsin? Diane Schwartz takes kids cross country skiing at Blackhawk Ski Club every week until March 4. You can also find her at Winterfest on February 19 teaching kids and families the joys of winter. Of course, that will be a lot easier now that a warm front is on the horizon. Devil’s Lake is beautiful, but it can also be dangerous. So, it was with a healthy dose of caution that I took 9 kids on a 2.5 mile hike. We went up the East Bluff Trail, down the Balanced Rock Trail, and then back to the North Shore along the railroad tracks. It’s a classic hike that I’ve taken dozens of times, but never with 9 elementary aged kids. It was entirely different with kids. Like I said, Devil’s Lake is gorgeous, but it’s also dangerous. Safety always come first with kids. The hardest part of the hike was telling the Kindergarten and some first grade students that they couldn’t go. I stuck with older kids I knew who would listen and who would be able to keep up with the hike. This left a few disappointed, but I know they will have their day on the bluffs. After a short talk about “staying on the trail” and “listening to the teacher” we were ready for fun. We got to see turkey vultures gracefully flying near the bluffs and I got to tell my favorite turkey vulture stories. “Did you know that turkey vultures pee on their legs to cool down? The uric acid also disinfects their legs. Why would you think that’s important?” I asked the kids. “Because they eat dead things?” said Mary quizzically. “Would they eat us?” someone asked. “Gross!” they cried with looks of disgust. The 4th grade kids appreciated this fact more than the second grade kids. As we hiked, we looked at fossilized ripple marks in the Baraboo quartzite left from the sandy beach that formed the rock more than 2 billion years ago. I don’t know if this fact sunk in, but at least it planted a geology seed. Devil’s Lake is a geological goldmine and it’d be great to spend more time on the geology. Today, however, we had to keep going so that we’d make it back to the bus on time. Other than being slightly rushed, it was an awesome hike. The weather was perfect and the kids were troopers. And, no one tripped or slipped on the rocks. I have to say that I was a relieved to step foot on the ground after descending the Balanced Rock trail. Like I said before, hiking with kids is different because you never stop be concerned about their safety. Of course, I would do it again, I just would allow more time to enjoy the view. Tell me about your hiking adventures with kids. What did you do that worked? What didn’t work? You can find me planning my next hiking trip at the Goodman Community Center. Like what you see here? Register for this blog and get a free 11-page Bubble Activity Guide. Just click on the home page and type in your email. Friday we had insect club with 15 Kindergarten and first graders. The plan was to have the kids dig pitfall traps and then hunt for insects. We did both of these things, but the outcomes were different than expected. I’ll make some observations and then suggest changes for the next outing. Observation One: Kids love to dig. In fact, they were more interested in digging and playing, than in finding insects, though they did find insects. While digging a hole for a trap (really just a cup in the ground), one student dug into a nest of ants. Squeals of excitement prevailed as hundreds of ants swarmed on the ground. ” I don’t like bugs,” said George. Now that we had some insects to watch, the plan was to see what insects liked to eat. We had apples, peanut butter, jelly, bread, and some lettuce. I tossed a little on the ground and I explained the project. They were not impressed. Observation 2: The kids were more interested in tossing food on the ground and playing with containers than watching what the insects ate. One boy placed a variety of containers on the ground upside down directly on the ant hill. I asked him what the cups were for and he said they were to catch the ants. The ants did crawl up side the cups, but afterward, John wasn’t at all interested in picking up the cups after the insects were inside. This was interesting. He just liked looking at them and playing with the containers. General observation wasn’t the objective of this lesson, but that’s what happened. As a teacher, sometimes lessons don’t go as planned. Flexibility is key. A few kids did get their pitfall traps into the ground. We’ll go back to the traps this week and see if any insects fell into them. To find out how to make one go to http://insects.about.com/od/entomologytools/ht/byopitfalltrap.htm. These traps are simple and fun to make. I’ll report next week how the older kids liked making them. The safari went okay, though three kids opted out. They were hot and didn’t really like the insects. The kids that went each had a container for their insects. They really liked having their own container. I expected to find a lot of Japanese beetles, but we only found one. The kids thought this was cool, but it’s hard to show off just one beetle to 12 kids. And of course, they all wanted to take it home. 1) Pick a New Location: We did our digging along a rain garden near a bike path. We had about 5 kids that did not look before crossing the bike path. This meant that me and my co-teacher had to constantly watch them. Next time, I will hold the activity at a nearby park or take smaller numbers of kids to this location. 2) Define Expectations: Tell the kids ahead of time that all insects will be released or placed in our science area. They will still ask, but at least it’s up front. Many wanted to take their creepy crawlies home, but this wasn’t possible. If we do some pinning, then they can take them home. 3) Keep it very simple: Turns out that Friday is the toughest day for our kids. After a long week, they are least likely to listen and I am least likely to have patience. Next time, I would just dig with them and not make the traps. Most couldn’t dig a hole deep enough to place their traps anyway. 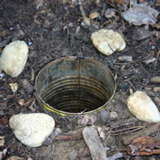 The pitfall trap activity will work better with older kids. Then, just go on a safari. Tell me about your adventures with kids and insects. What worked? What didn’t? What did you do? You can find me playing with insects at the Goodman Community Center. Like what you see here? Register for this blog and get a free 11-page Bubble Activity Guide. Just click on the home page and type in your email. Need Wands? Order your bubble kit today! We do lots of bubbling during warm weather. Here are some tips for hours of happy, bubbling fun with lots of kids. These guidelines use the Big Bubble Wands and recipe available on this blog. 1) Make Bubble Juice: Make at least 2 gallons of bubble juice. It’s cheap and you don’t want to run out. The recipe comes with the wands or you can find it under “Bubbles” on this blog. 2) Create a Bubble Zone: The wands stay in the bubble area. 3) Tray Placement: Place bubble trays in the Zone, a good distance apart. I usually place 5 trays and have 10 wands. Older kids can place and fill the trays with juice. 4) Safe Wand Use: Bubble wands are for making bubbles only. This ensures that no one gets hit with a bubble wand accidentally. Bubble poppers use their hands. If necessary, remind kids that wands are not swords or weapons. 5) Have Other Activities: Have other activities to do besides bubbles such as play structures, hula hoops, ball games, water games, etc. Allow kids can enter and exit the Bubble Zone at will, leaving the wands for other kids to play with. This way you only need 10 wands for about 20 kids. Plus, remember that some kids love to pop only. This is fun to watch. 6) Clean-Up. The juice is sticky, so kids may need to wash their hands afterward. The wands, trays and mixing bowls clean up easy with water. Most of all, have fun. Kids love bubbles. I have had very few behavior issues with bubbles. I think this is because bubbling is non-competitive and beautiful. It also helps to have lots of wands and trays and other things to do at your party. You can find Diane Schwartz bubbling at the Goodman Community Center where she is a K-5 teacher. She leads hiking, skiing and biking adventures. In her spare time, she sells bubble wands and does outdoor consulting. For a free 11-page Bubble Activity Guide, just go to the home page and subscribe to this blog. I want to push back. That’s exactly what the kid wants. That’s exactly what doesn’t work to alter the situation. Truth is, some kids are sassy. It’s my job to respond in a calm manner to avoid escalating the situation. It’s my job to remind them to use respectful words. It’s also my job to build relationships with kids so that they respect me as a teacher and don’t resort to back talk. To do this takes practice. It also takes some reflection. What is it about lippy kids that bug me so much? Truth is, I grew up with lippy brothers who picked on me relentlessly. When kids are sassy, especially boys, sore feelings from long ago resurface. Now that I know this, I am calmer and more relaxed around these kids. This has already made a huge difference in my teaching. Thank goodness I can change. Thank goodness kids are so understanding. Diane Schwartz is a K-5 teacher at the Goodman Community Center in Madison, WI. She leads hiking, skiing and biking adventures. In her spare time, she sells bubble wands and does outdoor consulting. She doesn’t take any lip. For a free 11-page Bubble Activity Guide, just go to the home page and subscribe to this blog. Q: How do you teach kids the art of listening? A: One minute at a time. While hiking today at the Arboretum with 10 kids, I tried something new. It wasn’t perfect silence, but that’s okay. The birds were raucous and many different sounds could be heard. Afterward, John said he heard a goose. Janet, an avid birder and one of our Sierra Club volunteers, said she heard the shrill call of a red-bellied woodpecker. The kids listened again. They heard it. Their eyes grew larger, full of wonder. Where is the bird hiding? What does he look like? Somehow, the rest of the hike seemed quieter. I don’t know if this is true, but that’s how it felt to me. We stopped by the spring and enjoyed some watercress. Some kids liked it and others thought it was too hot. It tasted a little peppery. After the hike, we stopped at the Longenecker Gardens to enjoy a snack and to run around among the lilacs. We saw swallows, a cat bird, a Baltimore oriole, chipping sparrows, robins, turkeys and yellow finches. What a glorious day Spring day. I think it’s important to teach kids the art of listening. Who knows, that one minute of silence could lead to many more. 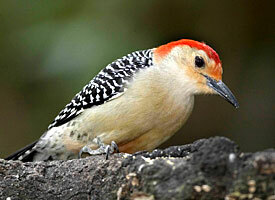 To listen to the red-bellied woodpecker, go to http://www.allaboutbirds.org/guide/Red-bellied_Woodpecker/sounds. Diane Schwartz is a K-5 teacher at the Goodman Community Center in Madison, WI. She leads hiking, skiing and biking adventures. For a free 11-page Bubble Activity Guide, just go to the home page and subscribe to this blog. Give your Activity a Purpose. Pick up trash, have a scavenger or insect hunt, look for different kinds of leaves or flowers, bird watch, etc. This gives the kids something to do. Set Boundaries. Be clear about what is okay and not okay to touch or pick. Have a “ask before picking” policy. If on a trail, make a “ teacher sandwich” with the kids in the middle. If the kids are free to move about in an area, set clear boundaries ahead of time. Tell the children in advance what you expect from them. Extend the Activity. When done with your adventure, have the kids make an art project like leaf collages or critters, pressed flowers, painted rocks, or draw something cool from the hike. Writers can make nature journals. Extending the outdoor experience helps kids make connections and retain what they learn. Start Small. Even 20-30 minutes outside can provide opportunities to learn and explore. Don’t be afraid to start small. The Nature Bracelet (below) is a great first activity. It’s fun and easy. Nature Bracelet or Cuff : Tape a piece of masking or duct tape loosely around the child’s wrist, sticky side out. Have kids stick found objects on the tape to make a bracelet. Share the results after the walk. What are the different plants and grasses? What colors did you find? Add ankle bracelets if you want. Have questions or comments? Have a great outdoor activity to share? Please email me at getkidsoutside@gmail.com or make a post. Email subscribers receive a free Bubble Activity Guide. Just type in your email address on the home page. I don’t always want to hush them up, especially when outside. On the other had, if they miss the sounds of the outdoors altogether then I don’t think I’m doing my job as a teacher. Yes, kids are loud, but teaching kids the value of being quiet is a gift. On Saturday, April 24th, I took 6 Kindergarten and first graders and two third graders on a hike to Pheasant Branch Nature Preserve in Middleton. For the first part of the trip, I didn’t set any volume boundaries. We simply walked the trail. The kids saw red-winged black-birds and heard their cry. The sounds of other birds filled the air. It was a cool, wet and beautiful morning. We walked to an overlook where a huge spring was gurgling below us. “Hey Miss Diane we found quick sand,” shouted John. John and his good pal Paul were my shouters today. Shouting is normal for these kids, especially when excited. In small doses this is fine. It makes no sense to stop their exuberance. Or does it? We continued our hike, which included geocaching. We hiked up a hill following our GPS devices through a freshly burned oak savannah to another overlook. 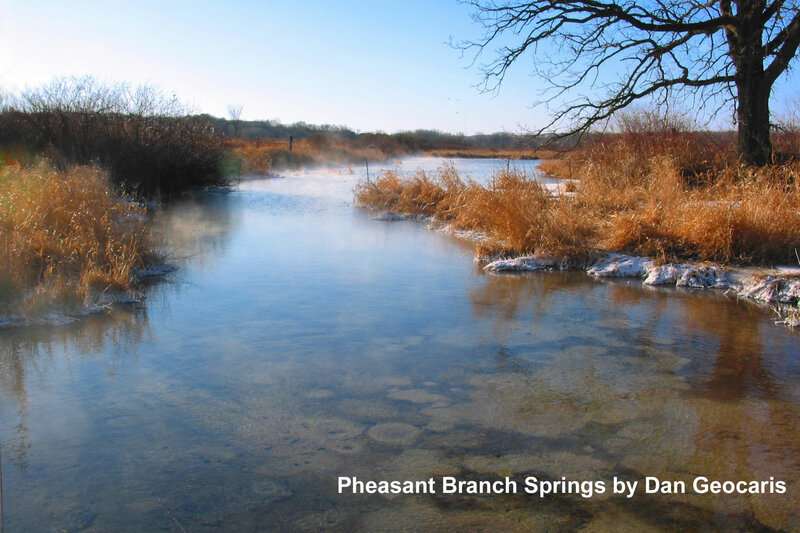 We could see the spring and Pheasant Branch Creek in front of us plus a sliver of Lake Mendota. On a clear day, the state capitol would be visible. “I don’t want to leave,” said Joe. “Yes, it’s pretty nice, we’ll have to come back,” I responded. The platform made a perfect spot for a snack and a break from our treasure hunt. But after we found the treasure and were walking back to the van several kids insisted on walking way ahead of the group. So, I decided to try something new. I stopped the kids and reinforced the expectation that everyone had to walk behind me. I added that we’d be walking back using “zero voice” so that we could hear the Sandhill Cranes. I enforced this by using hand signals only. I held up my hand and made a “zero” with my index finger and thumb. I kept this up for the rest of the hike. As we walked, John and Paul thought this was all very funny and reacted by laughing excessively. Zero voice was not happening. I turned around and silently directed them to each hold another adult’s hand. This seemed to jog them back into the present. The rest of the hike was quiet enough to hear the birds. I can’t say that Zero voice was an entire success, but I do think it’s important to have a”quiet” policy on future hikes. I want boisterous kids on these outings, but I also don’t want them to miss the wonder of listening. 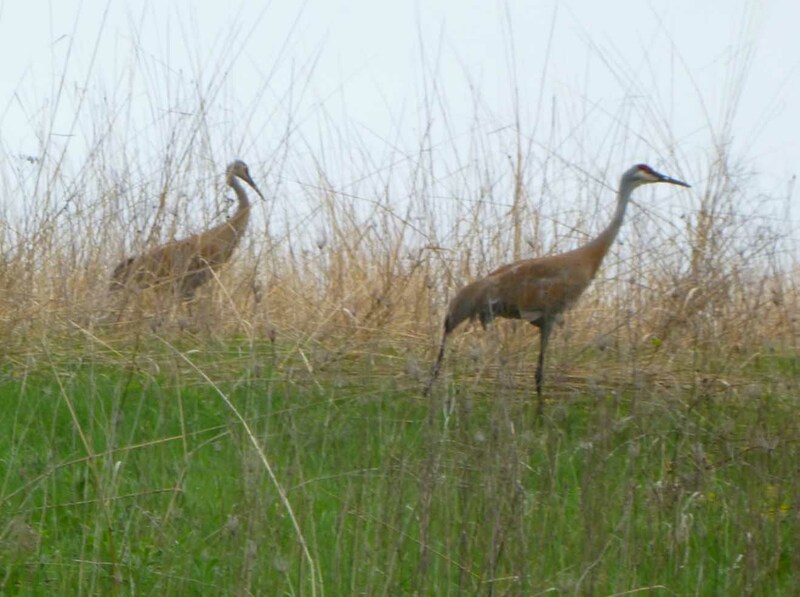 Most of the kids heard the sandhill cranes bugling, but I’m not sure that John and Paul did. This saddens me. Perhaps it’s enough today to get them outside, but I do want more for them. On the way home in the van, all the kids were pooped. Quiet came easy. For future trips, I will have a plan to better teach silence in the outdoors. I’ll keep you posted. For maps and more information go to http://www.pheasantbranch.org. Also, subscribe to my blog and receive a free Bubble Activity Guide. Just type in your email on the home pate. Test Case: Will the City of Madison Make Good on Plans at Brittingham Park? Brainstorm Session: How do we make Outdoor Activities more Accessible to all Children in Madison?